Product Weight (Gms): 10.30 Gms. This unique featured Labradorite necklace brightens different colors while touched by the rays of sun-light (and even under moonlight / artificial lights at night). The one who wears it enlightens self-esteem and creativity due to its association with Third Eye Chakra. 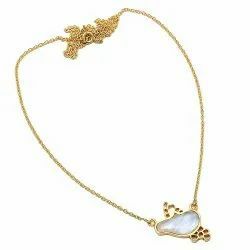 As an affluent name in this domain, we hold expertise in providing high quality Rainbow Fine Necklace. Sankisho Rainbow Multi Neck Piece Necklace. Product Name : Silver Gold Plated Carved Amethyst, Rainbow Moon Stone Washer Necklace. Being a factory we we can this kind of Necklace in all kind of semi precious gemstone and shape, sizes. Feel free for asking any price quotes, prices list, product catalog or else. We can also do any kind of custom order. 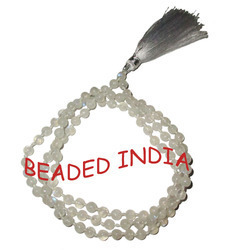 We are Manufacturer and supplier of all kind of natural gemstone and certified Rudraksha.We can manufacture any kind of beaded necklace at cheapest price as per our client demand. This is Real Rainbow Necklace looks eligent or forever in fashion its come in per carat . we can make design as per order .